Hassler Roma is the perfect residence of choice for those seeking the best place to stay in Rome's City Center, near the Spanish Steps, Piazza di Spagna and the Trevi Fountain. Our 87 individually decorated rooms and suites offer city or garden views as well as many other amenities including high speed Internet connection, Wi Fi access and much more at our luxury Rome hotel. 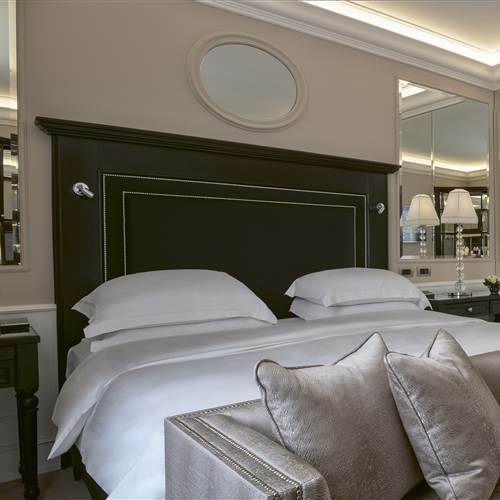 Spacious and elegant, each Grand Deluxe room at this luxury Rome hotel offers luxury accommodation in Rome with its own exclusive décor and atmosphere. Most feature a walk-in closet, a few feature a private balcony or gazebo, while yet others offer originally-designed luxury marble bathrooms, or sofa beds for family occupancy. Large and luminous, the Grand Deluxe rooms are symbols of the Hassler's unique style: the perfect marriage of classic decoration and Italy’s finest materials with a contemporary touch. 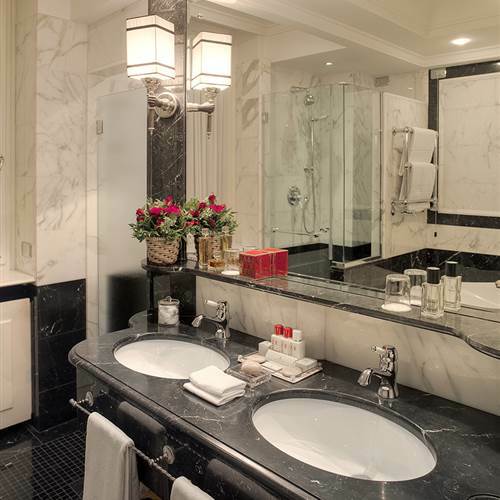 The Grand Deluxe rooms have either a garden-side, “internal courtyard” or city view. 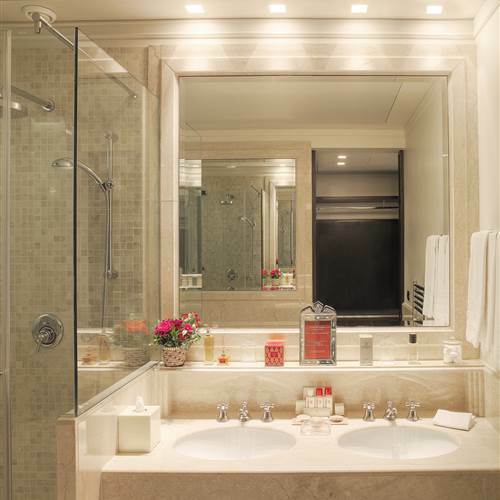 Some of the Grand Deluxe rooms are connectable to other suites. Approx. 35 sq. mt./ 376 sq. ft.